KINGSLAND, GA – The Camden County Chamber of Commerce is excited to announce professional football will be coming to Kingsland starting late February. Navy blue and orange uniforms will be on the Wildcat football field at Camden County’s Chris Gilman Stadium in the coming weeks and continuing through the spring as it serves as a practice site for the Orlando Apollos, a member of the newly formed Alliance of American Football (AAF). Coach Steve Spurrier, Hall of Famer and Heisman Trophy winner, will lead the team. 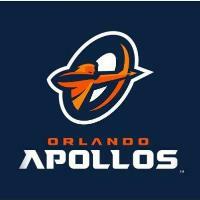 The Apollos will open their inaugural 10-week season, at home (Spectrum Stadium, Orlando) on Saturday, Feb. 9, at 8 p.m., versus the Atlanta Legends. When the Apollos aren’t in-season, they will be training in Kingsland and there will be opportunities for local fans to see them in action. The Camden County Chamber of Commerce has spearheaded coordination among multiple partners, including Camden County Schools, Public Service Authority and the College of Coastal Georgia — to land the deal with the Apollos, said Alison Shores, President/CEO of the Camden County Chamber of Commerce. “While several communities were considered, Camden County’s love of football and athletics as well as flexible venues that could accommodate the team and coaching staff made Camden County a viable host option,” said Shores, recognizing the efforts of the Chamber board as well as other local organizations and businesses that saw the opportunity as a “win-win” for all involved. All of the partners involved in bringing the team to Camden worked for several weeks with the Apollos coaching and location scouting staff to iron out every detail of the team’s needs. The Apollos will contract with each local partner so that it can use local facilities in a way that will benefit each organization and bring positive attention to Camden County, said Shores. No local tax monies will be expended in order to host the team. 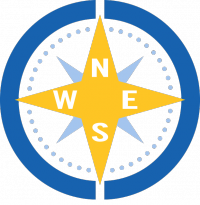 Instead, the Apollos will compensate those organizations for their facility use and will likely leave the partnering facilities in better condition, she said. Turner added that this attraction draws visitors from both South Georgia and North Florida to see Spurrier and his team in action and become more familiar with what Camden County and our business and tourism communities have to offer. A little-known fact is that the former Heisman Trophy winner is already familiar with Camden. He came to Kingsland in 1966 to marry his longtime girlfriend, Jerri, since Georgia — unlike his adopted home state of Florida — did not have a waiting period for weddings. Fifty-two years later, he is still married to Jerri and still coaching football even after being the youngest to coach a college team. So get ready for these few, short weeks this spring when the Wildcats will cheer for the navy blue and orange. More information will be released as it becomes available at www.camdenchamber.com .